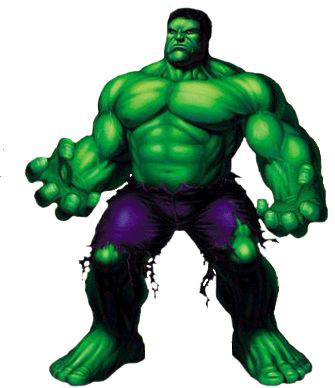 The Hulk is a fictional character that appears in comic books published by Marvel Comics. 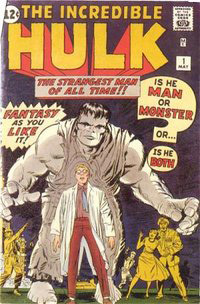 The character first appeared in The Incredible Hulk #1 (May 1962), and was created by Stan Lee and Jack Kirby. After physicist Dr. Robert Bruce Banner was caught in the blast of a gamma bomb he created, he was transformed into the Hulk, a giant, raging monster. 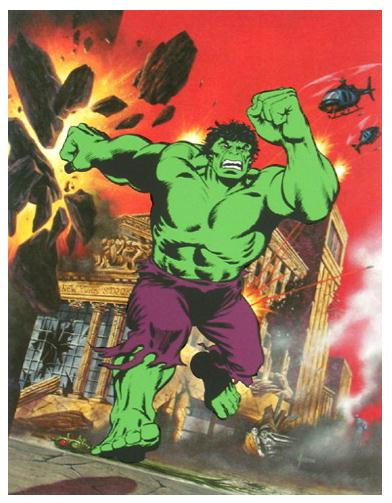 The character, both as Banner and the Hulk, is frequently pursued by the police or the armed forces, often as a result of the destruction he causes. 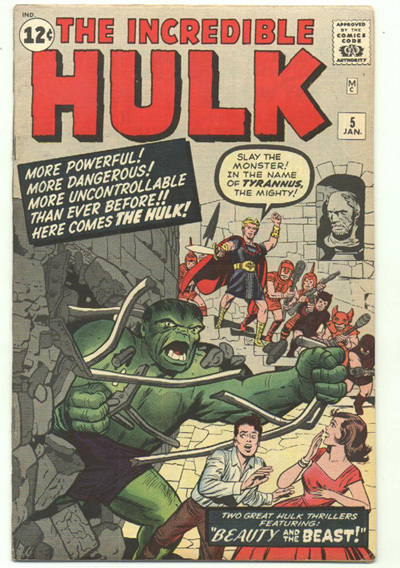 While the coloration of the character's skin varies during the course of its publication history, the Hulk is most often depicted as green. Hulk is one of Marvel Comics' most recognized characters. The character has appeared in a television series, with spin-off television movies, starring Bill Bixby as Dr. Banner and Lou Ferrigno as the Hulk; in animated series in 1966, 1982 and 1996; and in two feature films: Hulk (2003), directed by Ang Lee and starring Eric Bana as Banner, and the The Incredible Hulk (2008) directed by Louis Leterrier, starring Edward Norton as Banner.